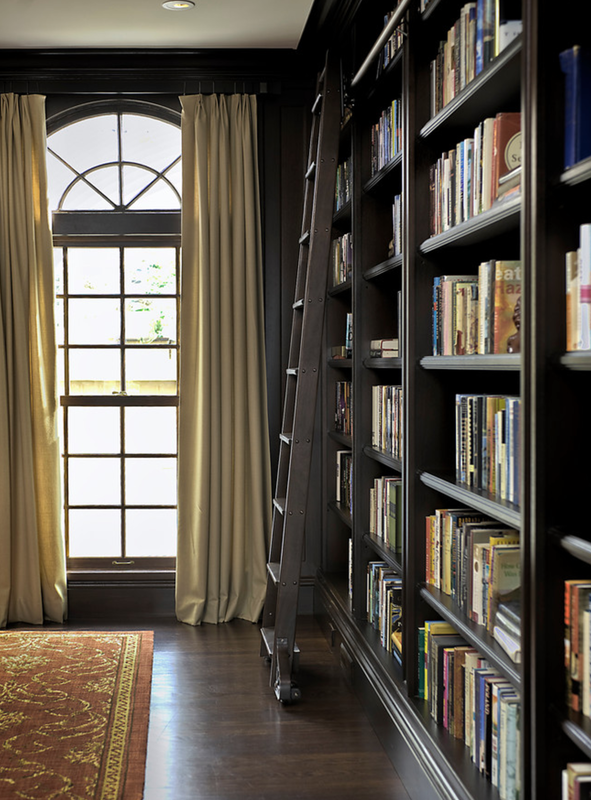 I think every bookworm dreams of not only having a home library, but having a rolling ladder you can use to peruse your collection like Belle in Beauty and the Beast. 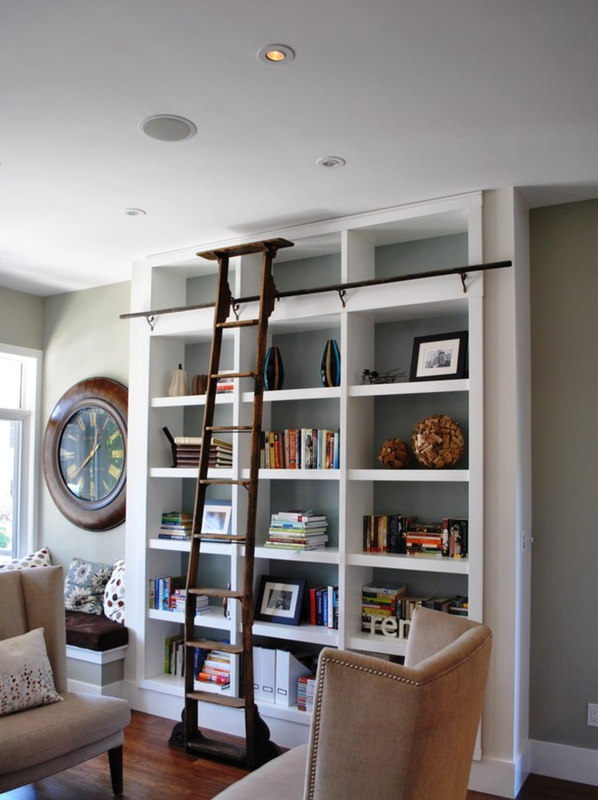 Because having a ladder to roll around on is half the fun! 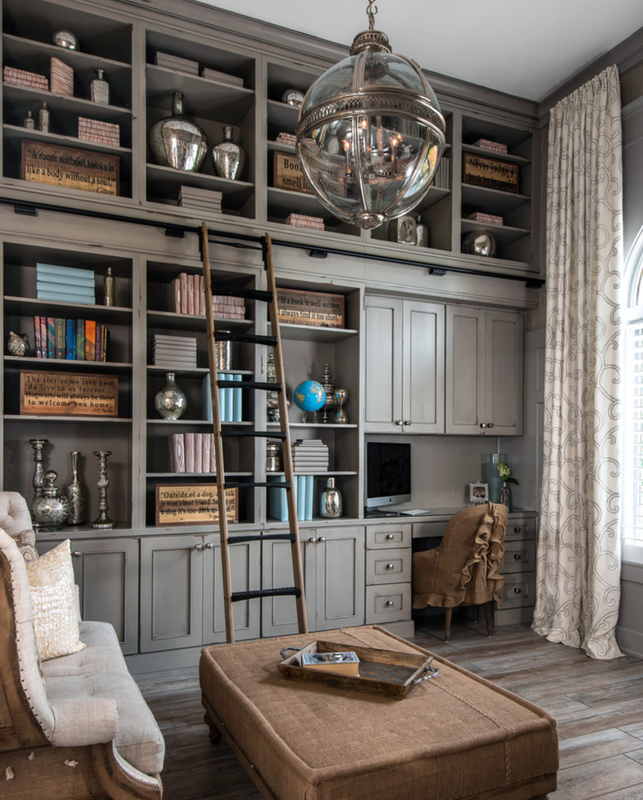 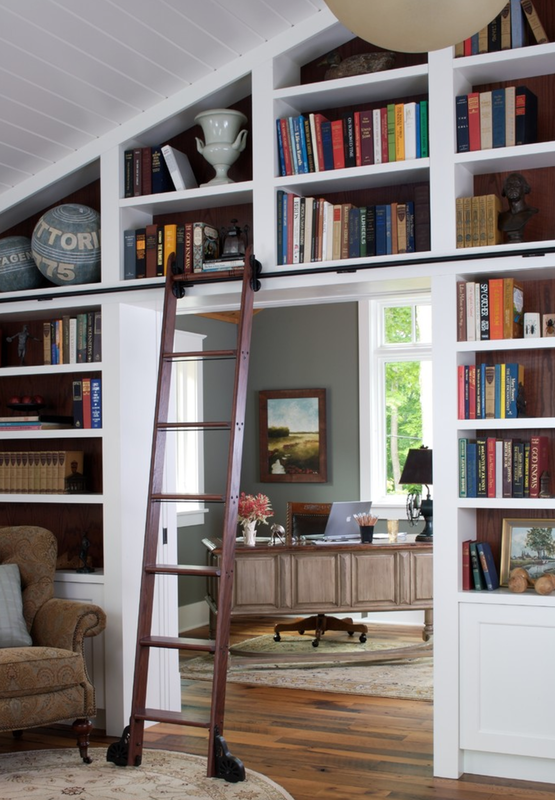 Whether your ladder serves a practical purpose to help you reach the highest shelves or is mostly for show, I think we can all agree that having a rolling ladder in your home library is #goals!